Mitchel Bleier offers instruction in a clear and simple way. He is gifted at discerning the needs of individual students, kind and compassionate as he corrects a posture or provides a word of encouragement. He has worked with people of all ages and walks of life from children to seniors. His expertise encompasses a vast array of subjects from fitness and posture to nutrition, natural remedies, hormonal phases, stress reduction, emotional balance, weight reduction, strength building and streamlining the body to perform at its optimum. He is adept at working with body issues from back fat to joint pain. Mitchel knows first-hand about the powerful healing benefits of yoga. During his freshman year at college, Mitchel became ill and left school to recuperate at his parents' home in Detroit. When he discovered that there was no remedy or course of treatment available from the medical community, he embarked on a path of self-discovery to restore his strength. He became passionate and knowledgeable about the human body, nutrition, herbs and their applications, natural healing and alternative modalities. He joined his sister in a class at a local yoga studio and found the key to self-fulfillment in a life that continually teaches him that the more he gives, the more he grows. His body quickly responded to the therapeutic benefits of Ashtanga Vinyasa Yoga and Power Yoga. Pain evaporated and flexibility increased. He immersed himself in Vipassana meditation and experienced new mental clarity. Within a year, he began teaching yoga. "Yoga gave me a feeling of security and a sense of belonging. I could express my strength on a yoga mat and take it to other parts of my life." With insatiable curiosity, he delved into the study of Buddhist and Hindu scriptures, learning Sanskrit and exploring Eastern cultures and religions, philosophy, mythology, iconography and more. 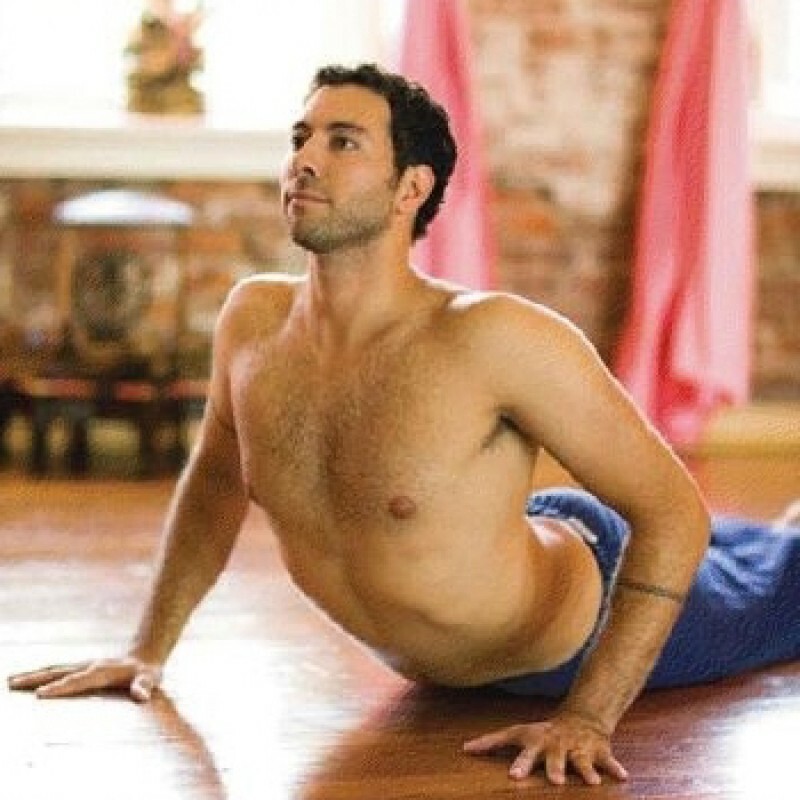 He challenged himself to master the many forms and techniques of yoga, accomplishing almost every hatha yoga posture known. He is continually learning, growing and sharing, deepening his relationships and becoming more capable. Mitchel remained in Detroit for a few years, expanding the awareness and practice of yoga. Since then, he has traveled extensively, teaching and studying with many of the world's finest practitioners and scholars in the United States and India. He is known as a teacher's teacher and has taught at the Yoga Journal, Mid-West, and Southeast conferences as well as annual teacher trainings nationally and internationally in the United States, Central America, Europe, and Canada. Mitchel lives in Norwalk, Connecticut with Tracy, the love of his life. They share their lives together with their newborn son Beck, Tracy's two boys, the family dog, and at her yoga studio, Saraswati's Yoga Joint.